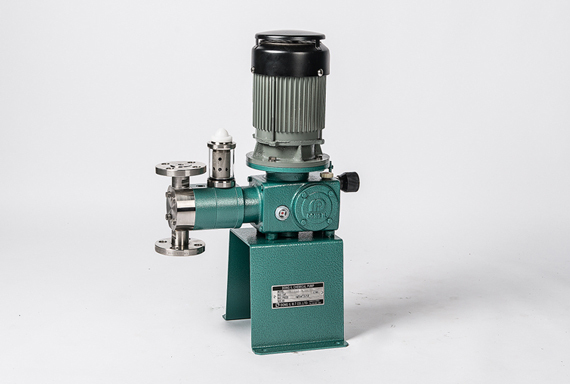 Completely leak proof glandless pump by high precision plunger. For the first time at pump head part imtroduced mass production technique including mechanism of oil pressure part and drive part to realization of stable quality and low cost. 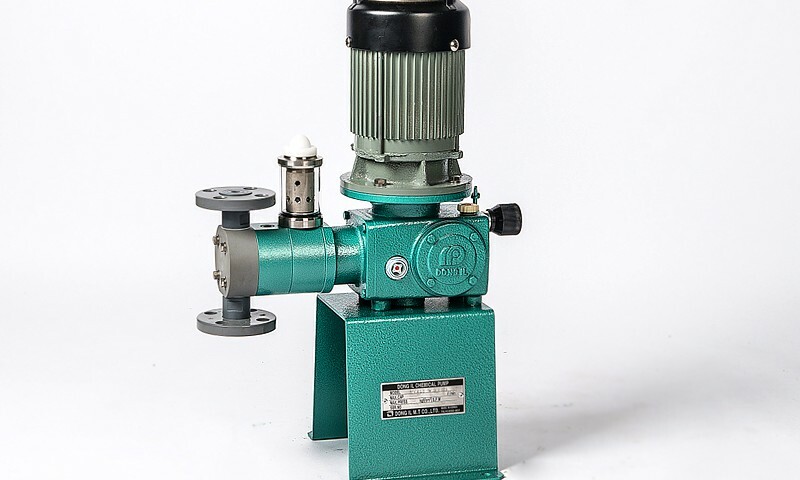 Developed by Dong-il techmique where has been acknowledged to process pump, It’s not only compect type but also reliable high oil pressure mechanism. Used cam mode reducer compact and steady reliable high worm gear type. And complete air-tight oil base lubrication mode. So it’s not only installed outside of building but also showing excellent durability at long time continuous operation. Implement relief valve inside pump to prevent from damage by abnormal pressure. 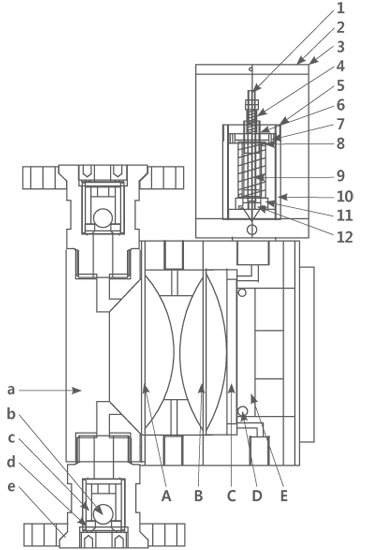 Above specifications are that should be changeable due to improvement etc without any notice. When an abnormal pressure occurs in the discharge side piping, Relief valve is lifted, and silicone oil is released. This relief pressure can be adjusted by moving up and down relief pressure adjusting nut, by using pressure adjusting tool. When abnormal pressure is removed and a normal pressure recovered. A negative pressure builds up at every suction process of the piston. Then the oil refill valve is lowered. And the released silicon oil is sucked into the pump up to proper level. This suction pressure can be adjusted by the suction pressure adjusting nut.